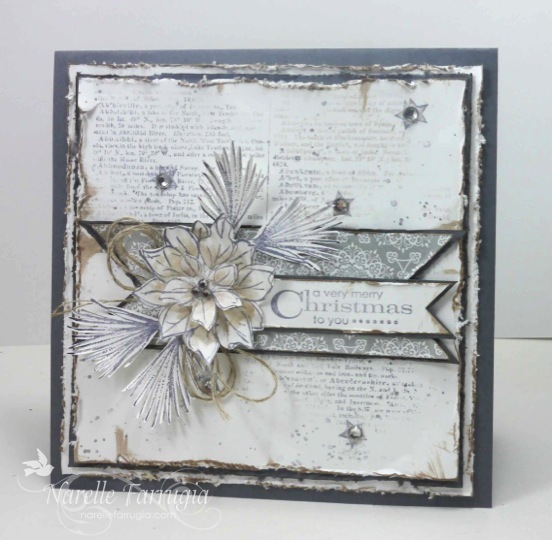 I am loving the challenge colours for this weeks Just Add Ink challenge. These colours were suggested by Kim. When I saw these colours – I instantly thought Christmas. 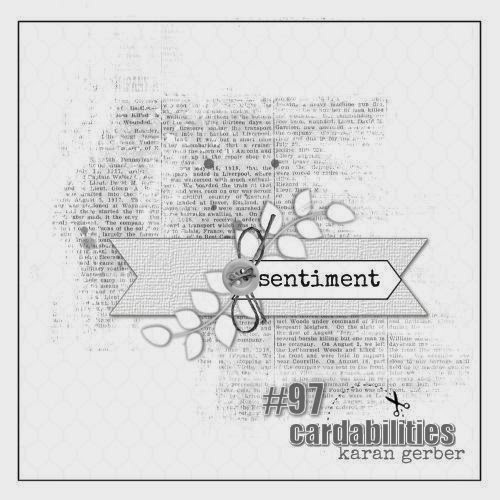 I had a card mostly made and decided I wasn’t a fan of it, so I ditched it at the time I was supposed to have uploaded it to our FB page and started again. 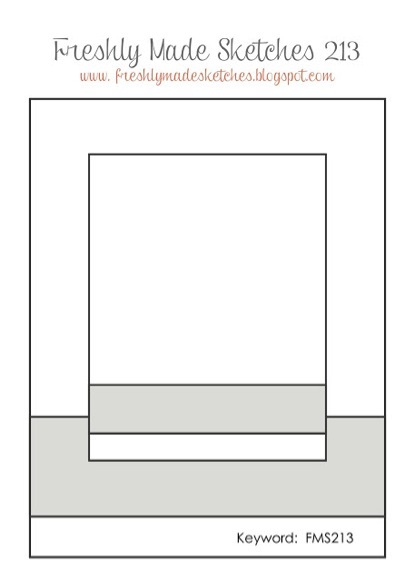 I’ve gone with a quick and easy, mostly thinlit dies card. 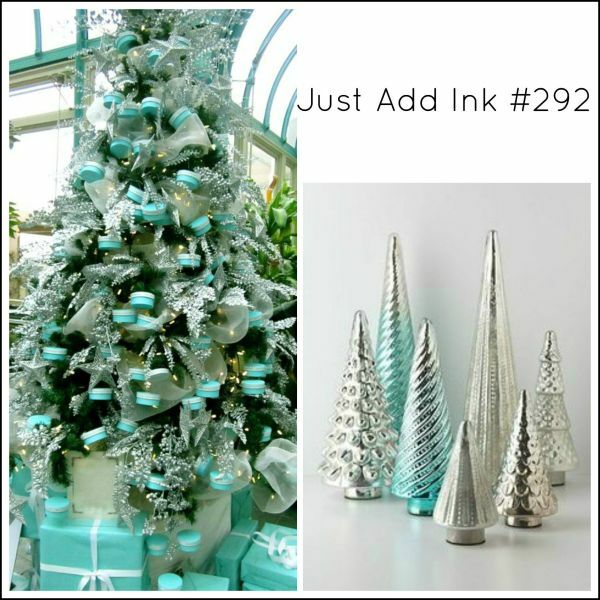 The thinlits I’ve used are Pretty Pines Thinlits and Christmas Greetings Thinlits. 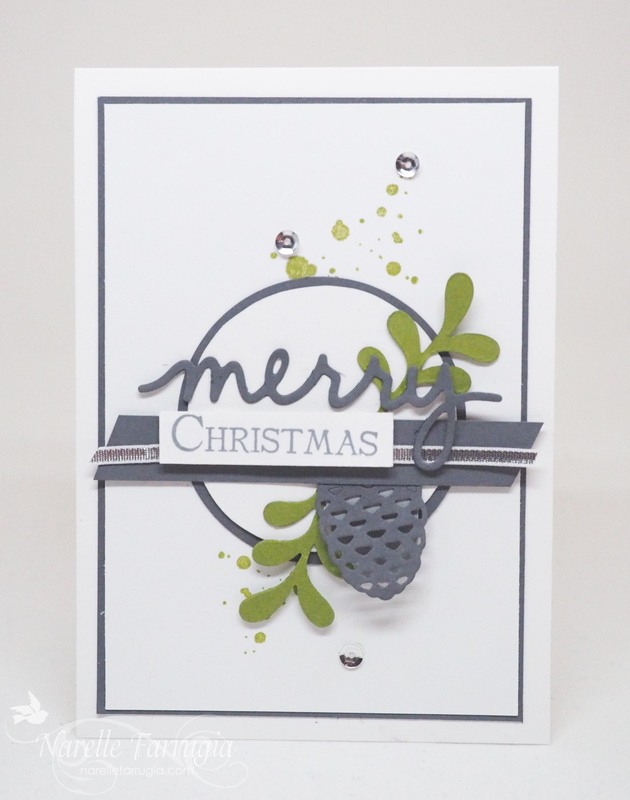 I added a Christmas sentiment (one of my all-time favourites) from a retired Stampin’ Up! set called Many Merry Messages and a bit of background stamping from Swirly Bird and I was done! Oh, I almost forgot – a strip of ribbon and as always, I’ve used the ever faithful sequins. We would love it if you could join us with this challenge. Head over to Just Add Ink and link up a card – while you’re there, take a look at the wonderful inspiration from the design team. I had no idea which stamp set I was going to use when I set out to create a card for my uber talented friend Amy O’Neill. 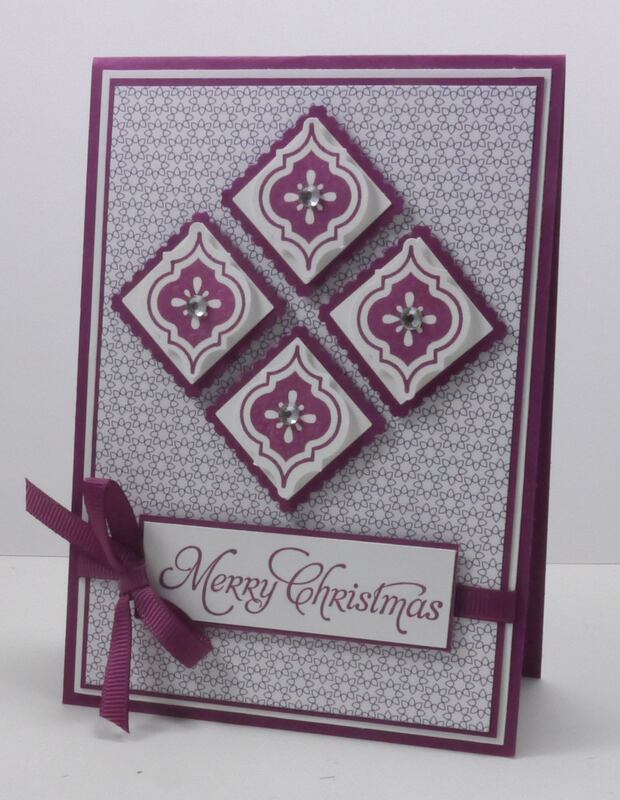 Amy’s talent has earned her the honour of becoming Stampin’ Up!s newest Artisan Design Team Member! Huge congrats Amy! Here’s her sketch for this weeks challenge at Freshly Made Sketches. So I got my radio going and looked to my new stamp sets. It then literally only took me about 2 minutes to decide colours and stamp sets and I was off. Sometimes cards just come together with ease and other times I can sit and play with a card over two days. This card came together in no time – I think I banged it out in about 25 minutes and that included heat embossing my sentiment and bauble. It might’ve then taken a couple more minutes to stick it together. Love it when it “just happens”! All thanks to Amy’s great sketch. Our team has provided wonderful inspiration for you. 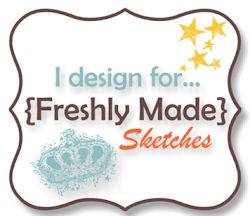 Head over to Freshly Made Sketches and check out their fabulous cards. We would love for you to join us with our challenge. I ‘ve decided it was time to mark a start on my Christmas cards and what better challenge to enter than Merry Monday Challenge. This week they have an interesting colour combo – I say interesting because, even though I’m a neutrals girls, I probably don’t combine slate/gray and kraft together very often. I found I actually like this combo! 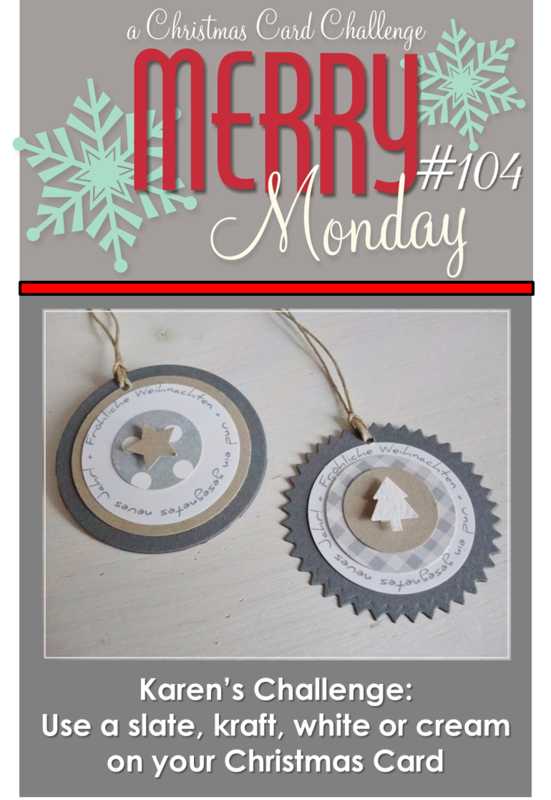 It’s week 4 of Lesley’s Merry Monday Anything Goes Challenge. 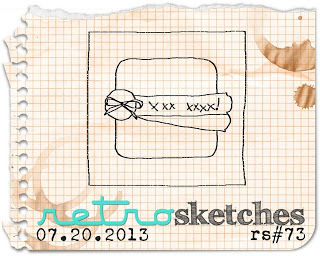 I’m missing Lesley’s sketches, so I found this weeks fab sketch at Retro Sketches to give me a hand with layout. Love this sketch as it allows me to show off my DSP. 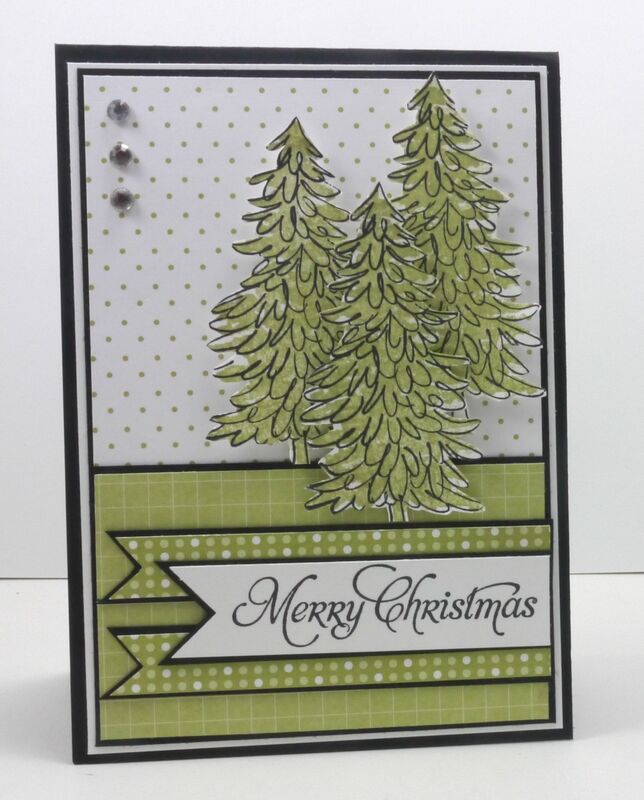 I used a retired Stampin’ Up! pack called Christmas Cocoa DSP. 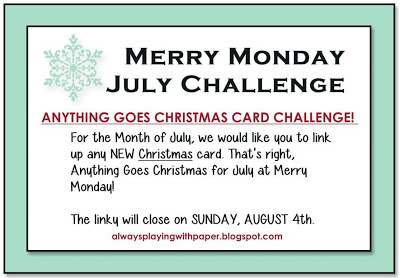 Merry Monday July Challenge – Anything Goes! 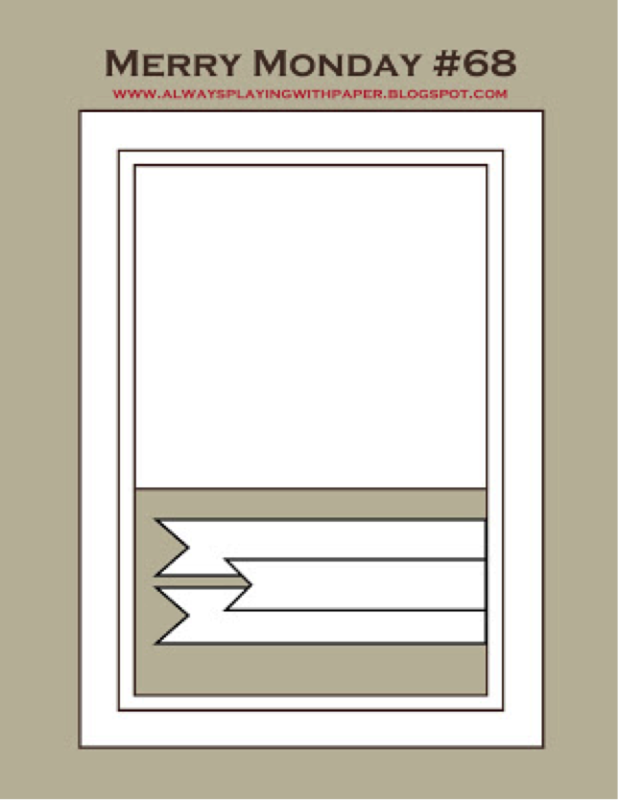 July 1, 2013 by stamplicious14 Comments on Merry Monday July Challenge – Anything Goes! I’ve used some new toys – a Stampin’ Up! stamp set called Mosaic Madness with it’s own matching punch. You gotta love it when you get coordinating products that making stamping easy! This card was one of the quickest cards I’ve made once I decided what I was going to create. I’m so used to Lesley’s sketches, it took me a sec to put a layout together in my head! We’d love for you to join us for this month long challenge. 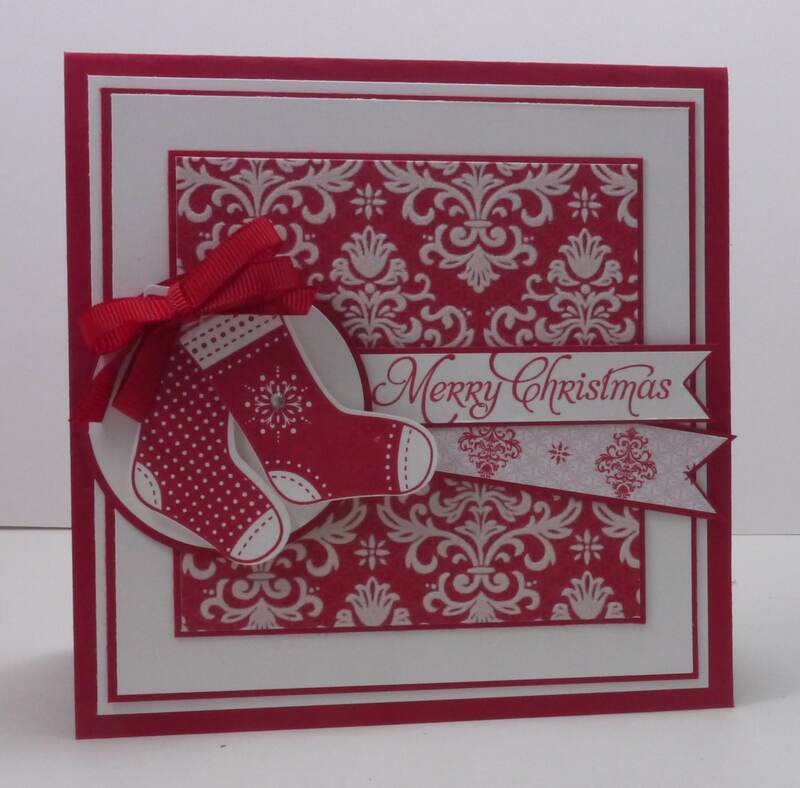 Head over to Lesley’s blog and check out the gorgeous inspiration from the Merry Makers! It’s Monday, so that means another fabulous sketch for you to create a Christmas card at Merry Monday.